https://www.backyardchickens.com/forum/uploads/79963_steph.jpgMy name is Stephanie I've been married to the same wonderful man for 21 yrs with three beautiful and irritating kids who will be 19, 15, 5 this year . I am an avid dancer , photographer & enjoy any thing involving needles (knit, sew bla bla bla)My Hubz and I have a goal of becoming 100% self sufficient by 2012 . 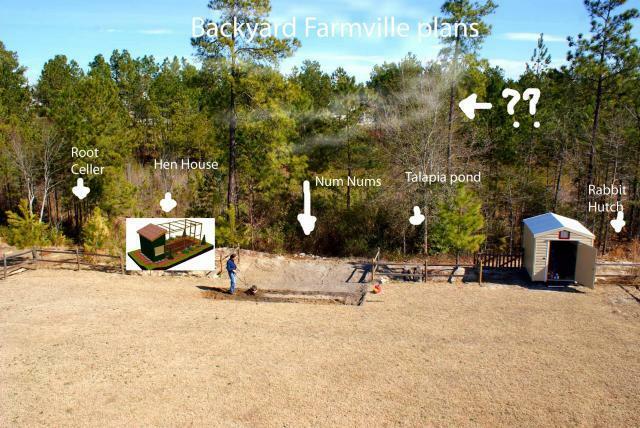 We've had veggie gardens off and on since 2007 but this year we are putting in a major garden and adding a hen house and maybe a tilapia pond this year or next . I'm sure friends and Fam think we are crazy , but with all the crap they are putting in our foods not to mention the insane costs ...We feel it only makes sense to take back control over our personal supply . we had been very convenience oriented our whole lives and I think my health and that of my parents have been affected by that quick and easy fast food lifestyle. Although my grandparents and aunts have had chickens and other farmy type animals ... the hubz & I are complete newbies to it and I am sure will have alot to learn this year ! My Farmville IRL blog , watch us go with updates and photos!!! We'll keep ya posted !